I returned to the project today after the weekend and I had the following steps to do. The glue had set and I think I used a bit too much as the squeeze out was on the excessive side, so I took my random orbital sander and went through 120 - 220 grit sandpaper to clean it up. The finger joints look OK there was a few tiny spaces in between the fingers but I will need to fill them in later. Anytime I get inconsistent spacing between joinery methods I usually use the saw dust and glue trick. All this is is the mixing of a little glue and sawdust from the same species of wood I use for a project in this case is poplar and rub it into the spacing let the glue set for about 30 minutes and then return to sand it down and magically the gaps disappear. I will do this towards the end of the project. This picture shows the state of the piece after removing the clamps but before sanding it down. Here is the box after sanding, need to fill in some little gaps around the finger joints but other than that it looks fine. 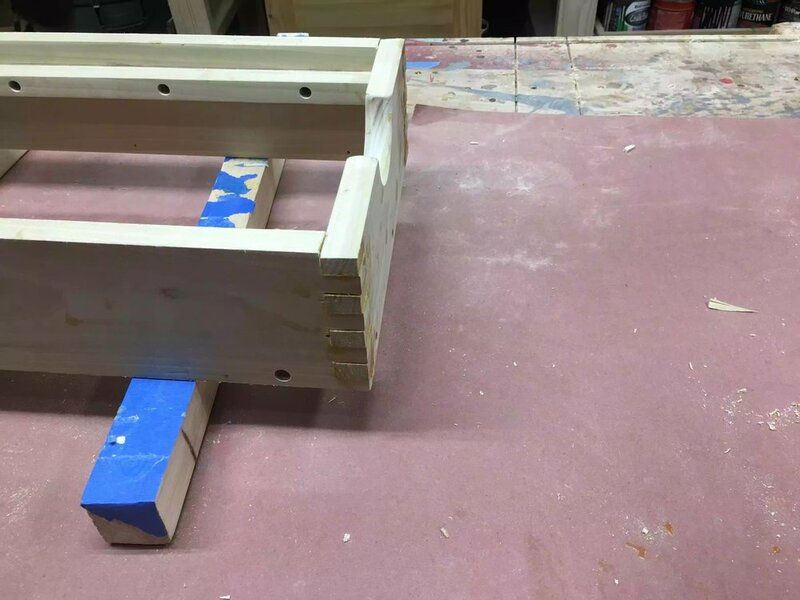 The base is nothing special , I am using a piece of 3/4” plywood as it will not be seen and then using the counter-sunk holes I already made around the bottom of the box parts I will use 1-1/4” screws to secure the base. I am not gluing it just in case I need to replace it in the future. I also needed to resolve a problem with keeping tools and accessories in position in the box an not be bumping into each other and possibly damaging them. 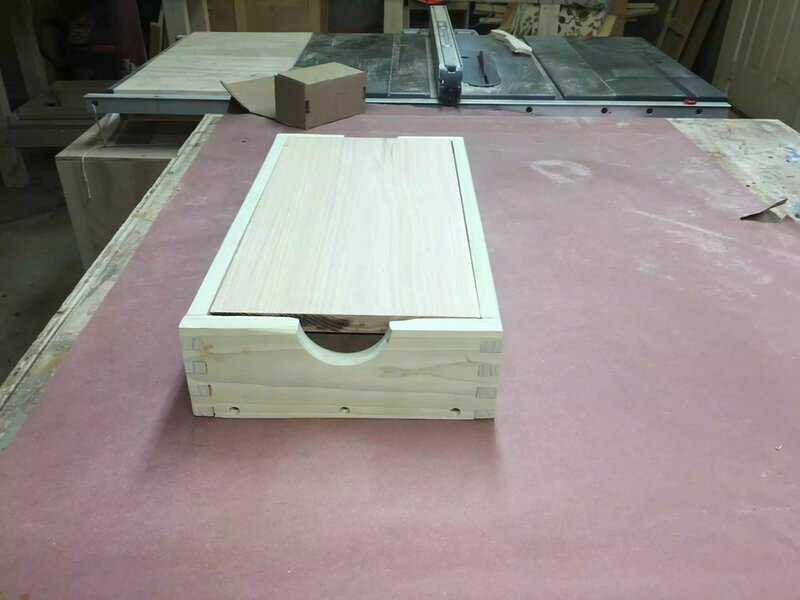 To solve this issue I decided create a recess for the accessories I will be storing in the box, so I used my palm router and free handed the recesses to hold the tools. 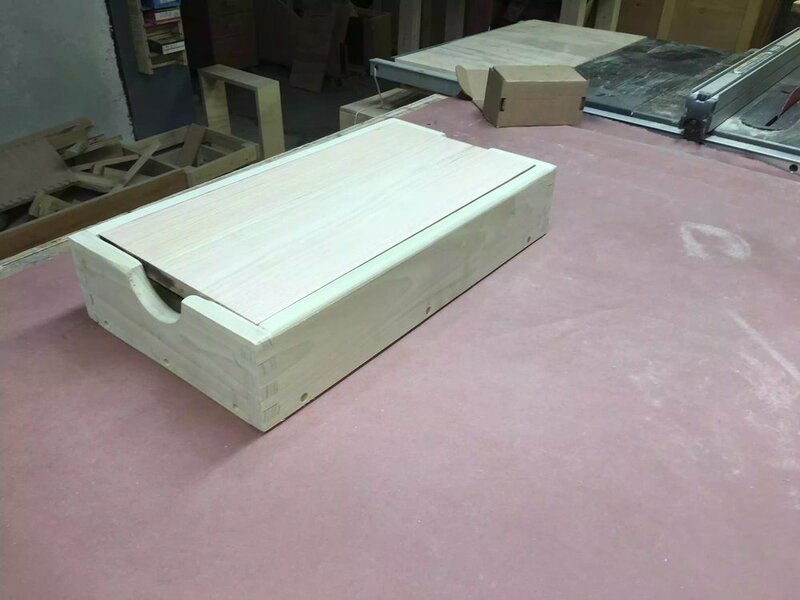 I will be using a similar process for the top but that is a much more precise recess and I will need to adapt the process whilst still using the router. I used this scrap piece of 3/4” plywood for the base. I am cutting it down to final dimensions here on the table-saw. I am layout out the lines so as that the honing guide sits inside and will not rattle around. I used my palm router to remove the bulk of the recess and then went back with my chisel and mallet to clean up the edges. Here is the honing guide accessories all nice and snug, Ill leave it for now and can always remove the base when I need to add more recesses for other tools. I still need to figure out how to store my sharpening stones in the box cavity when its not in use. Another view of the base, before its secured to the frame. Base is all secured and looks functional. I am starting work on the top today but will need to finish it tomorrow. The top has a decent amount of work to do because it houses all my sharpening stones, I am creating recesses in the solid oak top so as that when I am using the sharpening station my stones stay stationary. To achieve this I need to use my plunge router together with a template that I need to make, I also need to use a template guide bushing on my router so as that I remove the precise amount of material for the stones to fit in, I purchased the Bosch bushing pack for my Bosch router which is the 1617 plunge router. I will need to do a little more research on how to use a template for routing as I have never done it before. What I have so far I will show later. As you can see from my 3D rendering of the project below the top is to receive 5 recessed sections for the stones and a stropping plate. 3D rendering of the sharpening station. Do I need tools that I don’t have for this task? 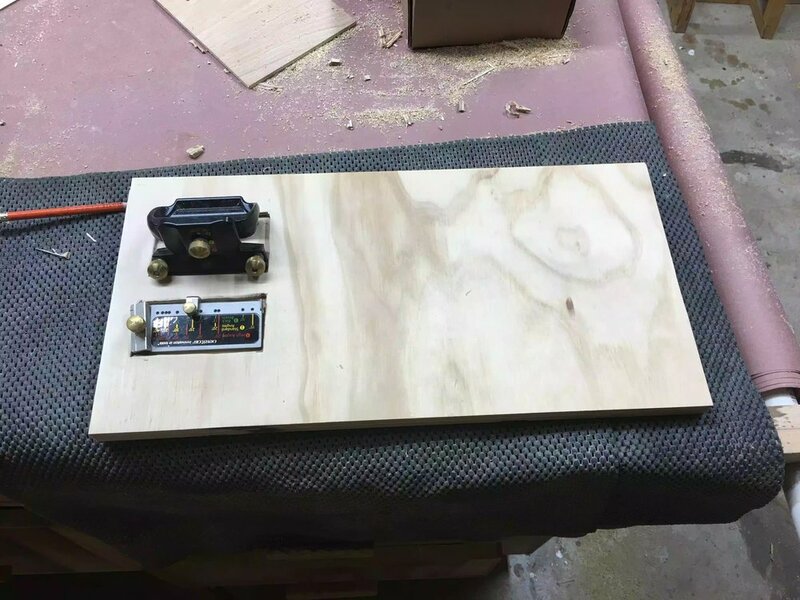 Do I need to make a jig of sorts? 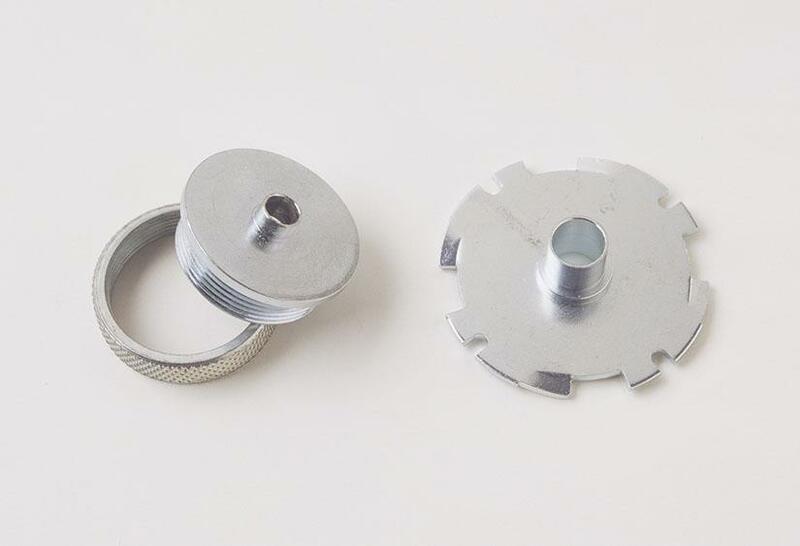 After researching I found that I needed to buy a template bushing set for my router, a bushing is a router accessory that can be used with a jig, lettering, inlay work, even reproducing furniture parts. Here's the basic concept: A guide bushing mounts to the router's sub-base with a tube that protrudes below. A straight router bit extends through the tube. The outer surface of the tube rides against an edge guide or template, keeping the bit a set distance (offset) from the edge guide or template, see picture below. 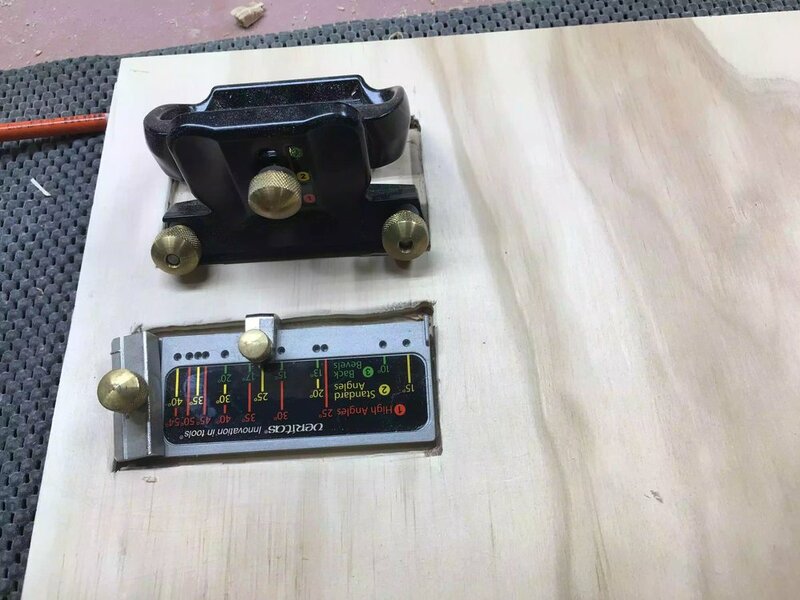 Here is a picture that I found online to show the bushing in the router. In the marketplace you'll find two bushing styles. The Porter-Cable two-piece (shown below) uses a screw-on locking ring to hold the tube part to the router base. This style fits a wide range of models. The other style of guide bushing clicks into place, but only fits Bosch routers. If your router doesn't accept these common styles of guide bushings, consider buying adapters and sub-bases . The style of bushing I needed was the one pictured on the right below. DO I NEED TO MAKE A JIG? I don’t necessarily need a jig of sorts but I do need to make a template. 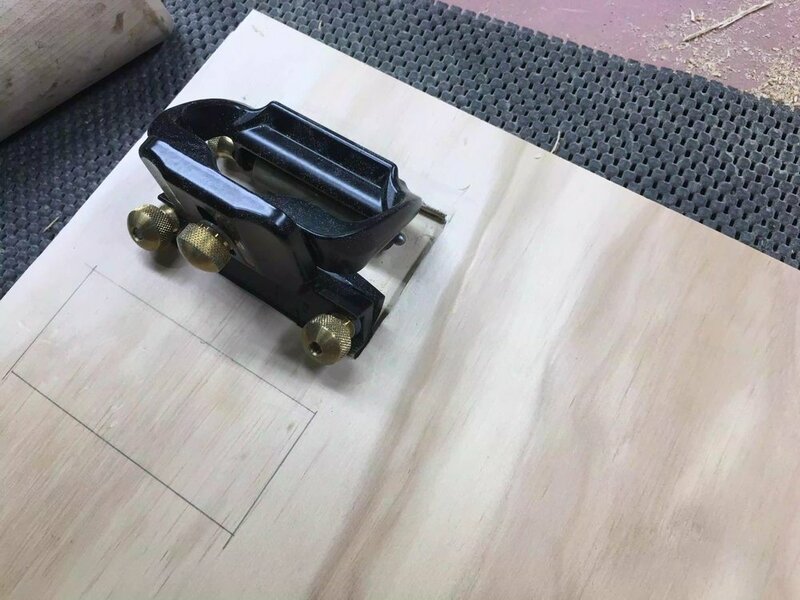 A template is guide that I will use in conjunction with the guide bushing so as to guide the router to the shape that I need to create. 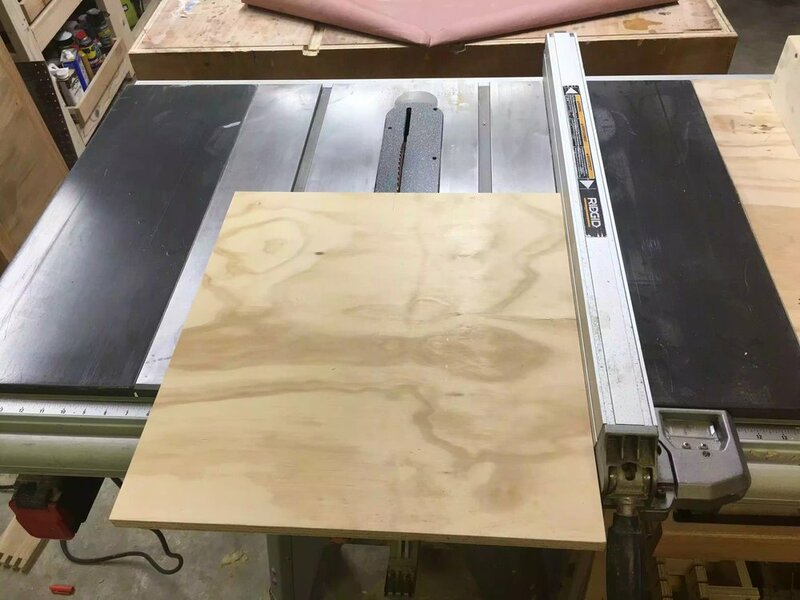 I have decided to make the template because I have quite a lot of milling to do as I need to create 5 recesses and to do that free hand would be extremely difficult and would also mean a lot of clean-up when I was done with the router. Using a template negates all that clean-up probably with a chisel and also provides nice clean edges in less time. I need to figure out how to make the template, that is tomorrow!! Here is my router and bushing set. To figure the offset, measure the outside diameter (OD) of the guide bushing tube and subtract the diameter of the bit. Next, divide this figure by 2 to determine the offset. In the example at below subtract the 1⁄2 " bit diameter from the bushing's 3⁄4 " OD. You get 1⁄4 ". Now divide this number by two and you arrive at a 1⁄8 " offset. This where I leave it for today, I had the main box, bottom and top made. Below are some pictures as to where I left off today. The lid is on but that about it, I need to put the recess in tomorrow. Some accessories in there nice new recessed homes. Apply finish, I usually use a poly-crylic for shop projects.